It is rare for a golf course ranked in the top 100 in the world to actually be for sale. Yet reports last week reveal the marvellous Cape Wickham, on remote King Island between Victoria and Tasmania, has been listed for sale by agents Knight Frank. 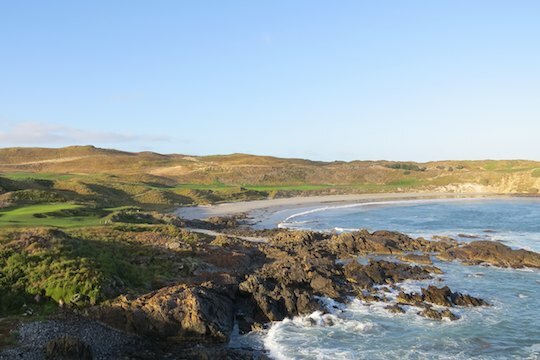 According to reports in Golf Australia magazine, owner Duncan Andrews, who was also responsible for developing other top-flight layouts like Thirteenth Beach and The Dunes outside Melbourne, felt he needed to sell Cape Wickham so that it could be taken “to the next level”. Opened to rave reviews in November 2015, Cape Wickham was quickly ranked the 24th greatest golf course in the world by US best-selling golf publication Golf Digest. But it meant Cape Wickham was up there with the very best of them, rubbing shoulders with the likes of Pebble Beach, Augusta National, St Andrews, Royal County Down, Cape Kidnappers and Royal Melbourne. Andrews told Golf Australia: “Golf Digest USA shocked me and everyone else by ranking Cape Wickham No. 24 on the globe, two months after we opened. “This brought the golfers in volume and we had to learn how to cope because as you know this is a destination, at a very remote venue. “I had then to do accommodation – we now have 16 bedrooms which means breakfasts and dinners seven days a week, we also need more bedrooms. “Suddenly it has stopped being a golf course and has now become a mini-resort and the patronage is booming and going to force it to become a small resort – more bedrooms, new clubhouse etc. “Building a world class golf course was pretty much my sole motivation for getting involved with Cape Wickham. “So 16 months after opening I seem to be running a resort hotel with a golf course, and I don’t want to run a resort hotel regardless of how well it is going.